“The California Roots Experience is…everything to me…No other thing on earth has had such a profound and positive impact on my life. It is a dream come true. I can’t wait to be surrounded by so many of my loved ones in a few weeks. 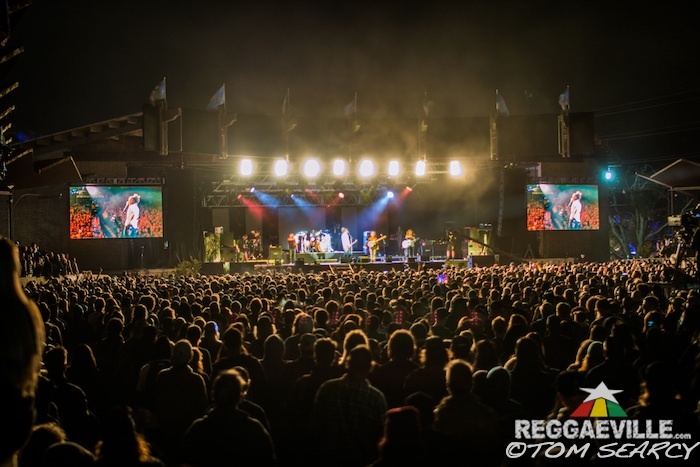 See you all in Monterey!” This quote from Joe Wilson from Bulldog Media sums up the consensus of so many important reggae artists and fans who I have spoken to about the pioneering California Roots Festival which has been an important force since it’s inception in 2010. Wesley Finley, Rebelution Drummer sums it up well too: "Cali Roots is special to the band and I for a number of reasons. The festival has come to be known as the premier reggae festival in the U.S. So to be able to headline it multiple times is an honor. Whether we are playing or not, it has become a yearly tradition for us to attend because we get to watch and hang out with so many of the bands we’ve toured with over the years…the festival feels like a family reunion." Having sold out 3 out of the last 4 years, this year's California Roots Music and Arts Festival is taking place May 26-28 at the Monterey County Fairgrounds and will feature 39 artists spread out over 3 stages, including such varied artists and groups as Yellowman, Collie Buddz, Protoje, Matisyahu, Iration, SOJA, and the daily headliners, Rebelution, Nas and Dirty Heads. They have always brought in non-reggae acts and this year along with Nas, they are featuring Thievery Corporation, SIX60 and Jurassic 5. Another thing I look forward to every year is how the team spotlights emerging and upcoming talent. This year look out for Iya Terra who is just getting off a massive US tour supporting Fortunate Youth and who just released the new album Sacred Sound. These guys are from LA and they are showing clear musical range and depth as well as writing meaningful and timely lyrics. These days music festivals can’t be just about the music. Cali Roots incorporates an Art and Wine Retreat, Yoga, an After Dark Lounge with fire dancers, Active Artists, a Learn to Paint program and a Cali Roots Fun Run on Saturday complete with a breakfast bar. They even have an exclusive beer, Hoppy Roots by Sierra Nevada Brewing. After all, it’s a Movement! Dan how has Cali Roots grown so exponentially from 2010 with no investors and only one sponsor into the force that it is today? We started as a backyard party. Over the last few years, the scene that we’re in has really blossomed. In reality I think it was right place right time for this festival. I think bands like Dirty Heads, who we had our first year, and Rebelution, SOJA, some of the American bands who started to really gain a lot of traction, they were able to play our festival which was pretty much the only festival that was primarily targeted toward these American bands and over the years of course we have more of the Jamaican and Caribbean acts. We really stepped our game up in year 3 when we expanded the venue and brought in some of the bigger acts and bigger production and we put an emphasis into the marketing as well, our branding is really solid, we have been able to gain a worldwide fan base as well. Tell me about a few of the bands that were fairly unknown before they started playing Cali Roots who you have seen really blow up as they have been part of the Cali Roots Family? One band that comes to mind is Nahko. We had him on our Carolina show about 3 years ago, I was paying him very little, he went on very early but there was such a connection with the fan base, and then we brought him on to our California show the following year and he has grown into one of the staples. Another artist is Stick Figure. Stick has really grown with the event and now potentially in the next couple of years he’ll be one of our headliners. That’s what makes it personal for the audience to see the growth. They’re coming from year to year and seeing these bands kinda grow up. I think another artist is Hirie as well. To know we are part of her growth is kinda humbling. Between her and Scott [Stick Figure], one of the cool things that is part of the festival energy and has added to their growth is that they are really approachable, they really care about their fan base, you can see their connection to the fans and that goes a long way. We are all stoked on each other’s success. The more our brand grows the more that this music can keep progressing and keep moving forward. Great point about Stick Figure really blowing up over the last few years. And now they are representing California and the US at Rototom Sunsplash in August in Benicassim Spain. This is Big. Yeah I heard Rototom is the real deal and this is huge for Stick. Rototom is what we should all be striving to be, not just from the lineup but the whole experience, the workshops and various cultural things going around the venue, its what separates that event from everything else. With many of these bands, Cali Roots is talked about like a Family Reunion, why is that? Exactly. A lot of these bands either tour together or see each other on the road or they just know each other. There’s always really this family energy, this family reunion vibe, everyone’s there to have a good time, a lot of talking shop, a lot of tours have developed out of our backstage, collaborations on albums, the spark has started backstage. We have created it but really at the end of the day its organic that it’s happened. I am excited to see Iya Terra, I was excited to see them on the lineup. How do you choose some of the up and coming bands you invite? Iya Terra is a great one for sure. The Late Ones from Hawaii are solid, SIX60 in the US is upcoming but in New Zealand they are one of the biggest bands in our little world. A couple years ago Protoje was a rising one, Nattali Rize, Jesse Royal, you know a lot of it is just listening to a lot of music and finding out what the fans are listening to, we take surveys all the time, we look at their social numbers and traction on Instagram and Facebook, we check them out live. The Skints have been one of the big ones, really proud to have booked them first on the west coast, now they’re out with 311, they have a bunch of Sublime dates and they’re playing the Sierra Nevada Music Festival. What does the saying “California Roots isn’t just a music festival, it’s a Movement” mean to you personally? We are creating this environment, it’s a countercultural movement of like minded people who are coming together not just at our main festival but our other events. Like minded people that are there for really good music, good vibes and acceptance. We have created this platform for this energy but really it’s the fan base and the bands, it’s organic energy that’s created this movement. Cali Roots has become a brand, a concert production company, a philanthropic and community minded force, a movement. What’s next for Cali Roots in terms of the festival now that you are sold out every year at the Monterey Fairgrounds at 11,000 people and I am hearing rumors about a Cruise? I have kicked a Cruise around, its definitely a possibility, the other one that is intriguing me are these destination festivals like Closer to the Sun. 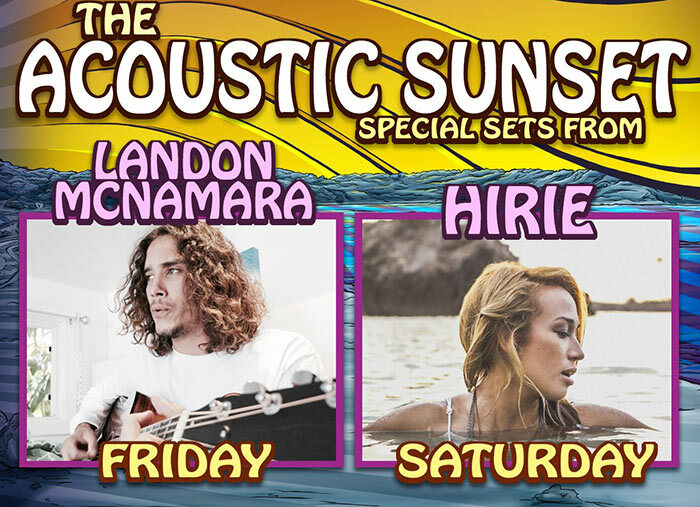 Both the cruise and the destination festivals have a special feeling, limited number of people, interaction with the artists which is huge for the fans. On top of those we are looking at other markets to expand into. We are not a cannabis event but kinda following the legalization drill, so looking at Washington state or Oregon or Colorado but the cruise is definitely something that could happen. It would be a California based cruise, ya know, California, Mexico. Cruises are tricky, they aren’t cheap to put on. Possibly in the next few years, 4 or 5 days, Hawaii has also come back up, there are definitely a lot of possibilities on the horizon. So we can expect a California version of the Jamrock Cruise in the next few years? You never know. It’s definitely a conversation that’s being had. I’ll be the first to book a room. What’s the craziest thing that has happened over the years at Cali Roots? 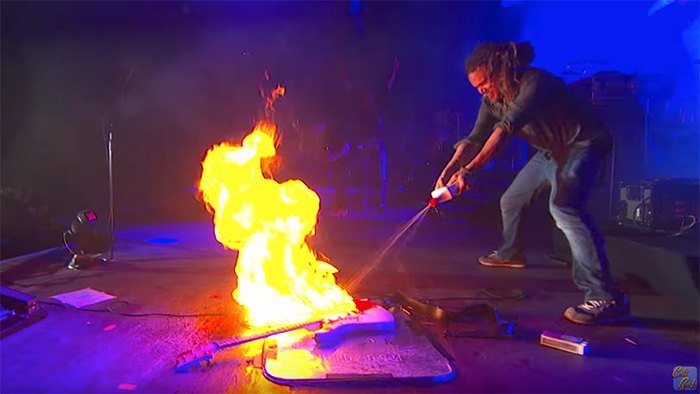 One of the really cool things was when Trevor from SOJA burned his guitar on stage a few years ago kind of on the same location Jimi Hendrix burned his guitar, the prep and legalities, hoops we had to jump through to make that happen. A few years ago when it was Kyle from Slightly Stoopid’s birthday and Tribal Seeds brought him up onstage and he had like this 3 ounce joint he was smokin’, that stands out. Was last year the final year for the Carolina Sessions? Our last year was 2016 actually a year ago today. The first year did really well, the second year we had some weather issues, then we moved it to Myrtle Beach, South Carolina which might not have been the best move, the culture is a lot different. We were supposed to have it October 2015 and we had a rain out and a hurricane, so we postponed it to April 2016 and we just didn’t do the numbers we were hoping to, took a financial hit and decided it was time to call it quits on the Carolina Sessions. I miss doing that event and we would definitely like to return to that coast, but as a business owner you kinda come to the realization that this might not be the best decision for us. Paying tribute to the Monterey Pops. Its special to be at where some might consider the birth of the modern music festival. I am always excited about our evolution of our green initiatives. This year we are eliminating the use of plastic straws with our vendors, we want to lessen our footprint. This year we rebranded our VIP passes as the Redwood passes and for each Redwood ticket bought, we plant 2 Redwood trees so we were able to plant 800 Redwoods which for us is huge. If we continue this program over 4 years that will be 4,000 redwood trees which is a pretty big feat. I am looking forward to Nas, Thievery Corporation this year, Anthony B. Some of the best shows I did as an independent promoter before I started doing Cali Roots was with Anthony B. Do you get to let loose and enjoy the concerts? I wish. For me it’s a massive rush. My enjoyment is putting on the event. I get to see a couple songs here and there as much as I can before I am pulled away. My daughter is almost 2 now, she’ll be on stage, having her see the music and also experiencing the production of the event, that’s really special for me. I don’t get to let loose but I definitely love what I do, I wake up every morning, I put on shows for a living, everything’s good!